Alright ladies, it’s time to talk. I know this is a touchy subject and people tend to NOT want to talk about this ever, but let’s do it anyway. Besides, this is a blog and for some reason that makes it way less awkward, right? Er…maybe. Let’s start with the packaging. 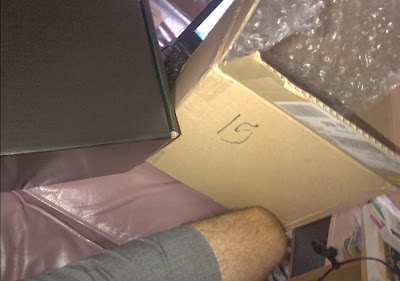 First of all, they were shipped in a super stealthy black box. I had actually forgotten that I was getting these in the mail and I told E to open them without realizing. Oops. He opened them up and screamed, “EW THEY’RE TAMPONS!” Naturally, I corrected him, and then laughed hysterically. The picture I got from E when he opened my "surprise." Once you get past the black shipping box, the pads are in a decorated black box. And okay, I have to mention the plastic packaging. It’s not even trying to hide. There were pink, blue, and green wrappings, and they are all decorated. So when you inevitably get caught carrying one to the bathroom, at least it’s cute. I obviously demo’d these for more than a day (wouldn’t it be nice if periods only lasted for a day? ), so here’s what I discovered: These pads are pretty great. On day one I wore a dress. I was totally comfortable all day and didn’t have to worry at all about whether I was protected or not. No accidents. On day two I wore light gray (OMG!) slacks for work, and again – totally protected. The pads have the best wings! They’re super sticky, too, so once you put them in place they don’t move. The wings are really long and super wide, so I felt like I was getting some extra coverage, which is always nice. You all should know that I sit like a pretzel most of the time, and, uh…shifting…can be a problem with a pad. I had zero issues. If anything moved out of place I was still covered. I even wore these to date night. Can you tell I was comfortable in them? On the shifting note, for testing purposes I decided to sleep in one to see how it held up. 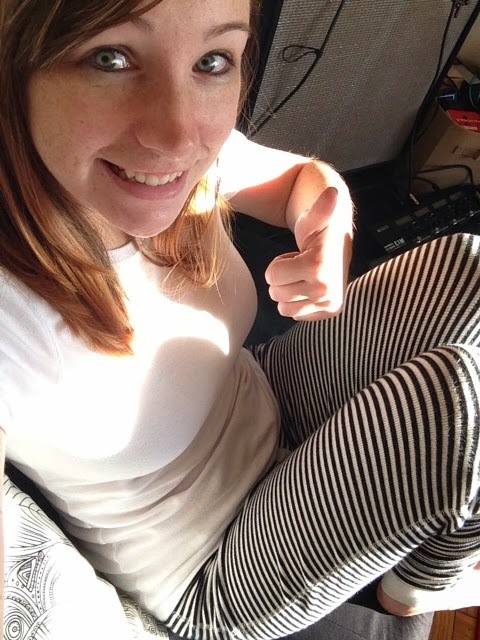 My pajamas are black and white, so I knew it would be a good test. Guys. They are so awesome. Warning: The next sentence is gonna be kind of gross. Sometimes after a night of tossing and turning while you’re on the big P, you wake up and things are kind of a mess; these CleanWear pads held up their end of the bargain. That’s all I’ll say about that. I'm pretty happy about surviving the night in my black and WHITE pajama pants. I loved my sample, and will definitely be adding these to the rotation. My only wish is that they were a little longer, but that’s not a huge issue for me. Ladies, I know it gets old paying for all of our “necessities,” so you all should request a sample for yourselves! Just go here to get yours! 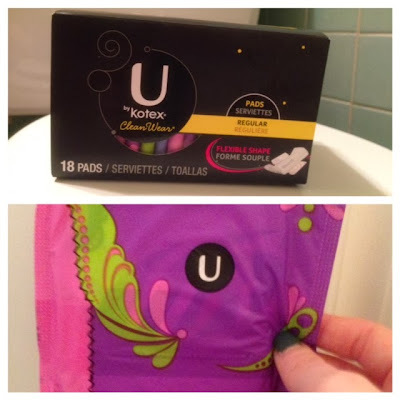 To see what U by Kotex is up to, check them out on Facebook and Twitter! My baby factory is shut down, but I told my friend Pam about this. Really cool! Thank you!